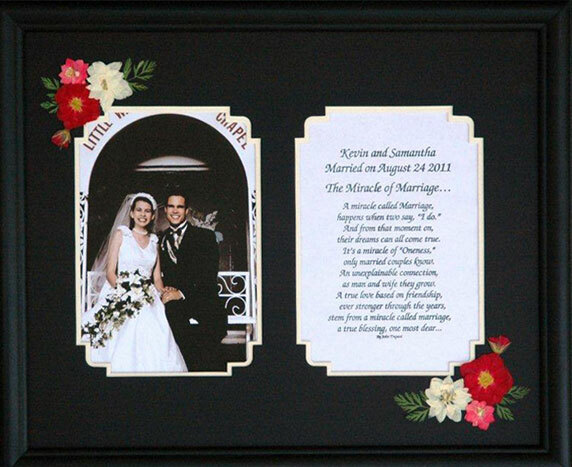 We offer two styles of mats that are very popular to commemorate a wedding or celebrate a marriage or anniversary. Double Window, 11" X 14"
Triple Window, 10" X 20"
Our 10" X 20" triple window wedding or marriage mats with flowers and frame make the perfect wedding gift! Make your choices below to order now! 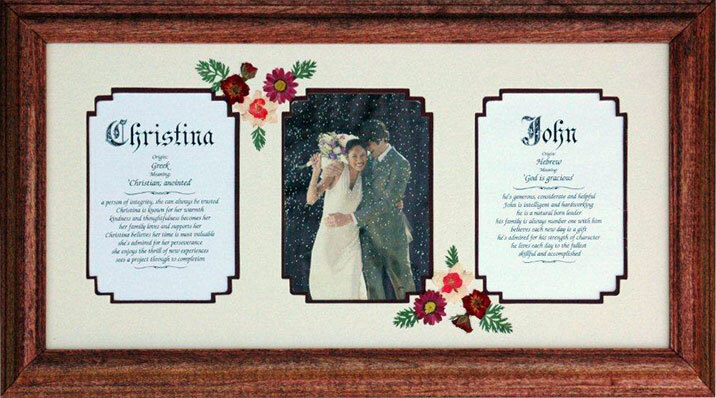 Our 11" X 14" double window wedding or marriage mats with flowers and frame make the perfect wedding gift!